Born in Kanagawa Prefecture, Japan. She auditioned to join a J-pop group being created by Konami and Toshiba-EMI and was successful at just 15 years of age. This group later became BeForU which went on to make many songs for various video games. She has since started a solo career having released 6 singles to date. 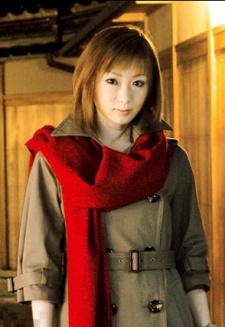 She also collaborated with Ryo Horikawa as a radio personality for Pakedio Channel in 2005 and 2006. Her height is 151cm and her blood type is O. She is also known by the name Miki Roberts. The ballad version of Danzai no Hana is pure gold her voice is pure gold everything is gold. She have a beautiful and particular voice,just amazing. Semms my hears are still sharp! Danzai no Hana is amazing.